“By the study of this Law of Cycles we learn that natural progress of all kinds does not occur in one steady stream, like the rush of a railway train on a straight track, but on the contrary, it proceeds by a spiral or screw-like course, in which the same points are successively and continually reached on higher circles of existence. It might, perhaps, be compared to the flight of an eagle, which soars upward in circles one above the other, until lost to sight in the vault of heaven. An onlooker would apparently see a periodic return to nearly the same place, but it is clear that the soaring bird occupies a more distant position on every turn of the circle in its spiral flight upward. “These cyclic periods are so well defined in our everyday experience, that we are apt to pass them by, without recognizing their importance. Every day is a cycle, in which we pursue almost the same round of duty, and every day is followed by a night or period of rest in which the circle of twenty-four hours is rounded off and completed. Month by month, in a larger cycle we find similar occurrences in our business and home circles. Year by year we follow the same round of occurrences in Nature, so that spring, summer, autumn and winter promote the well-being of each other, and minister to the perfect whole of which they form successive phases. All these are well known to us, but because by habit we have grown familiar with them, we fail to perceive that herein lies a great secret of the world’s advancement. It is now some time since this theory, which was first propounded in the oldest religion of the world, Vedaism, then taught by various Greek philosophers, and afterwards defended by the Theosophists of the Middle Ages, but which came to be flatly denied by the wise men of the West, like everything else, in this world of negation, has been gradually coming into prominence again. This once, contrary to the rule, it is the men of science themselves who take up. Statistics of events of the most varied nature are fast being collected and collated with the seriousness demanded by important scientific questions. Statistics of wars and of the periods (or cycles) of the appearance of great men—at least those as have been recognised as such by their contemporaries and irrespective of later opinions; statistics of the periods of development and progress at large commercial centres; of the rise and fall of arts and sciences; of cataclysms, such as earthquakes, epidemics periods of extraordinary cold and heat; cycles of revolutions, and of the rise and fall of empires, &c.; all these are subjected turn to the analysis of the minutest mathematical calculations. Finally, even the occult significance of numbers in names of persons and names of cities, in events, and like matters, receives unwonted attention. If, on the one hand, a great portion of the educated public is running into atheism and scepticism, on the other hand, we find an evident current of mysticism forcing its way into science. It is the sign of an irrepressible need in humanity to assure itself that there is a Power Paramount over matter; an occult and mysterious law which governs the world, and which we should rather study and closely watch, trying to adapt ourselves to it, than blindly deny, and break our heads against the rock of destiny. ore than one thoughtful mind, while studying the fortunes and verses of nations and great empires, has been deeply struck by one identical feature in their history, namely, the inevitable recurrence of similar historical events reaching in turn every one of them, and after the same lapse of time. This analogy is found between the events to be substantially the same on the whole, though there may be more or less difference as to the outward form of details. Thus, the belief of the ancients in their astrologers, soothsayers and prophets might have been warranted by the verification of many of their most important predictions, without these prognostications of future events implying of necessity anything very miraculous in themselves. The soothsayers and augurs having occupied in days of the old civilizations the very same position now occupied by our historians, astronomers and meteorologists, there was nothing more wonderful in the fact of the former predicting the downfall of an empire or the loss of a battle, than in the latter predicting the return of a comet, a change of temperature, or, perhaps, the final conquest of Afghanistan. The necessity for both these classes being acute, observers apart, there was the study of certain sciences to be pursued then as well as they are now. The science of today will have become an “ancient” science a thousand years hence. Free and open, scientific study now is to all, whereas it was then confined but to the few. Yet, whether ancient or modern, both may be called exact sciences; for, if the astronomer of today draws his observations from mathematical calculations, the astrologer of old also based his prognostication upon no less acute and mathematically correct observations of the ever-recurring cycles. And, because the secret of this science is now being lost, does that give any warrant to say that it never existed, or that, to believe in it, one must be ready to swallow “magic,” “miracles” and the like stuff? “If, in view of the eminence to which modern science has reached, the claim to prophesy future events must be regarded as either a child’s play or a deliberate deception,” says a writer in the Novoyé Vremya, the best daily paper of literature and politics of St. Petersburg, “then we can point at science which, in its turn, has now taken up and placed on record the question, in its relation to past events, whether there is or is not in the constant repetition of events a certain periodicity; in other words, whether these events recur after a fixed and determined period of years with every nation; and if a periodicity there be, whether this periodicity is due to blind chance or depends on the same natural laws, on which are more or less dependent many of the phenomena of human life.” Undoubtedly the latter. And the writer has the best mathematical proof of it in the timely appearance of such works as that of Dr. E. Zasse, under review, and of a few others. Several learned works, treating upon this mystical subject, have appeared of late, and of some of these works and calculations we will now treat; the more readily as they are in most cases from the pens of men of eminent learning. Having already in the June number of the THEOSOPHIST noticed an article by Dr. Blohvitz On the significance of the number Seven,1 with every nation and people—a learned paper which appeared lately in the German journal Die Gegenwart—we will now summarize the opinions of the press in general, on a more suggestive work by a well-known German scientist, E. Zasse, with certain reflections of our own. It has just appeared in the Prussian Journal of Statistics, and powerfully corroborates the ancient theory of Cycles. These periods, which bring around ever-recurring events, begin from the infinitesimal small—say of ten years—rotation and reach to cycles which require 250, 500, 700 and 1000 years, to effect their revolutions around themselves, and within one another. All are contained within the Máhá-Yug, the “Great Age” or Cycle of the Manu calculation, which itself revolves between two eternities—the “Pralayas” or Nights of Brahma. As, in the objective world of matter, or the system of effects, the minor constellations and planets gravitate each and all around he sun, so in the world of the subjective, or the system of causes, these innumerable cycles all gravitate between that which the finite intellect of the ordinary mortal regards as eternity, and the till finite, but more profound, intuition of the sage and philosopher views as but an eternity within THE ETERNITY. “As above, so it is below,” runs the old Hermetic maxim. As an experiment in his direction, Dr. Zasse selected the statistical investigations of all the wars, the occurrence of which has been recorded in history, as a subject which lends itself more easily to scientific verification than any other. To illustrate his subject in the simplest and most easily comprehensible way, Dr. Zasse represents the periods of war and the periods of peace in the shape of small and large rave-lines running over the area of the old world. The idea is not new one, for, the image was used for similar illustrations by ore than one ancient and mediaeval mystic, whether in words or picture—by Henry Kunrath, for example. But it serves well its purpose and gives us the facts we now want. Before he treats, however, of the cycles of wars, the author brings in the record of the rise and fall of the world’s great empires, and shows the degree of activity they have played in the Universal History. He points out the fact that if we divide the map of the Old World into five parts—into Eastern, Central, and Western Asia, Eastern and Western Europe, and Egypt—then we will easily perceive that very 250 years, an enormous wave passes over these areas, bringing into each in its turn the events it has brought to the one next preceding. This wave we may call “the historical wave” of the 250 years’ cycle. The reader will please follow this mystical number of years. Again, at this period we find the rising of a third historical wave at the far East. After prolonged revolutions, about this time, China forms once more a powerful empire, and its arts, sciences and commerce flourish again. Then 250 years later, we find the Huns appearing from the depths of Central Asia; in the year 500 A.D. a new and powerful Persian kingdom is formed; in 750—in Eastern Europe—the Byzantine empire; and, in the year 1,000—on its western side—springs up the second Roman Power, the Empire of the Papacy, which soon reaches an extraordinary development of wealth and brilliancy. At the same time, the fourth wave approaches from the Orient. China is again flourishing; in I 250, the Mongolian wave from Central Asia has overflowed and covered an enormous area of land, including with it Russia. About 1500, in Western Asia, the Ottoman Empire rises in all its might and conquers the Balkan peninsula; but at the same time in Eastern Europe, Russia throws off the Tartar yoke, and about 1750, during the reign of Empress Catherine, rises to an unexpected grandeur and covers itself with I glory. The wave ceaselessly moves further on to the West, and, beginning with the middle of the past century, Europe is living over an epoch of revolutions and reforms, and, according to the author, “if it is permissible to prophetize, then, about the year 2,000, Western Europe will have lived one of those periods of culture and progress so rare in history.” The Russian press, taking the cue, believes that “towards those days the Eastern Question will be finally settled, the national dissensions of the European peoples will come to an end, and the dawn of the new millennium will witness the abolishment of armies and an alliance between all the European empires.” The signs of regeneration are also fast multiplying in Japan and China, as if pointing to the approach of a new historical wave at the extreme East. If, from the cycle of two-and-a-half century duration, we descend to those which leave their impress every century, and, grouping together the events of ancient history, will mark the development and rise of empires, then we will assure ourselves that, beginning from the year 700 B.C., the centennial wave pushes forward, bringing into prominence the following nations—each in its turn—the Assyrians, the Medes, the Babylonians, the Persians, the Greeks, the Macedonians, the Carthaginians, the Romans and the Germanians. The striking periodicity of the wars in Europe is also noticed by Dr. E. Zasse. Beginning with 1700 A.D., every ten years have been signalized by either a war or a revolution. The periods of the strengthening and weakening of the warlike excitement of the European nations represent a wave strikingly regular in its periodicity, flowing incessantly, as if propelled onward by some invisible fixed law. This same mysterious law seems at the same time to make these events coincide with astronomical wave or cycle, which, at every new revolution, is accompanied by the very marked appearance of spots in the sun. The periods, when the European powers have shown the most destructive energy, are marked by a cycle of 50 years’ duration. It would be too long and tedious to enumerate them from the beginning of History. We may, therefore, limit our study to the cycle beginning with the year 1712, when all the European nations were fighting at the same time—the Northern, and the Turkish wars, and the war for the throne of Spain. About 1761, the “Seven Years’ War”; in 1810 the wars of Napoleon I. Towards 1861, the wave has a little deflected from its regular course, but, as if to compensate for it, or, propelled, perhaps, with unusual forces, the years directly preceding, as well as those which followed it, left in history the records of the most fierce and bloody war—the Crimean war—in the former period, and the American Rebellion in the latter one. The periodicity in the wars between Russia and Turkey appears peculiarly striking and represents a very characteristic wave. At first the intervals between the cycles, returning upon themselves, are of thirty years’ duration—17I0, 1740, 1770; then these intervals diminish, and we have a cycle of twenty years—1790, 1810, 1829-30; then the intervals widen again—1853 and 1878. But, if we take note of the whole duration of the in-flowing tide of the warlike cycle, then we will have at the centre of it—from 1768 to 1812—three wars of seven years’ duration each, and, at both ends, wars of two years. Finally, the author comes to the conclusion that, in view of facts, it becomes thoroughly impossible to deny the presence of a regular periodicity in the excitement of both mental and physical forces in the nations of the world. He proves that in the history of all the peoples and empires of the Old World, the cycles marking the millenniums, the centennials as well as the minor ones of 50 and 10 years’ duration, are the most important, inasmuch as neither of them has ever yet failed to bring in its rear some more or less marked event in the history of the nation swept over by these historical waves. In France, a meteorologist of Paris went to the trouble of compiling the statistics of the coldest seasons, and discovered, at the same time, that those years, which had the figure 9 in them, had been marked by the severest winters. His figures run thus: In 859 A.D., the northern part of the Adriatic sea was frozen and was covered for three months with ice. In 1179, in the most moderate zones, the earth was covered with several feet of snow. In 1209, in France, the depth of snow and the bitter cold caused such a scarcity of fodder that most of the cattle perished in that country In 1249, the Baltic Sea, between Russia, Norway and Sweden remained frozen for many months and communication was held by sleighs. In 1339, there was such a terrific winter in England, that vast numbers of people died of starvation and exposure. In 1409, the river Danube was frozen from its sources to its mouth in the Black Sea. In 1469 all the vineyards and orchards perished in consequence of the frost. In 1609, in France, Switzerland and Upper Italy, people had to thaw their bread and provisions before they could use them. In 1639, the harbour of Marseilles was covered with ice to a great distance. In 1659 all the rivers in Italy were frozen. In 1699 the winter in France and Italy proved the severest and longest of all. The prices for articles of food were so much raised that half of the population died of starvation. In 1709 the winter was no less terrible. The ground was frozen in France, Italy and Switzerland, to the depth of several feet, and the sea, south as well as north, was covered with one compact and thick crust of ice, many feet deep, and for a considerable space of miles, in the usually open sea. Masses of wild beasts, driven out by the cold from their dens in the forests, sought refuge in villages and even cities; and the birds fell dead to the ground by hundreds. In 1729, 1749 and 1769 (cycles of 20 years’ duration) all the rivers and streams were ice-bound all over France for many weeks, and all the fruit trees perished. In 1789, France was again visited by a very severe winter. In Paris, the thermometer stood at 19 degrees of frost. But the severest of all winters proved that of 1829. For fifty-four consecutive days, all the roads in France were covered with snow several feet deep, and all the rivers were frozen. Famine and misery reached their climax in the country in that year. In 1839 there was again in France a most terrific and trying cold season. And now the winter of 1879 has asserted its statistical rights and proved true to the fatal influence of the figure 9. The meteorologists of other countries are invited to follow suit and make their investigations likewise, for the subject is certainly one of the most fascinating as well as instructive kind. The doctrine of Cycles is one of the most important in the whole theosophical system, though the least known and of all the one most infrequently referred to. Western investigators have for some centuries suspected that events move in cycles, and a few of the writers in the field of European literature have dealt with the subject, but all in a very incomplete fashion. This incompleteness and want of accurate knowledge have been due to the lack of belief in spiritual things and the desire to square everything with materialistic science. Nor do I pretend to give the cyclic law in full, for it is one that is not given out in detail by the Masters of Wisdom. But enough has been divulged, and enough was for a long time known to the Ancients to add considerably to our knowledge. A cycle is a ring or turning, as the derivation of the word indicates. 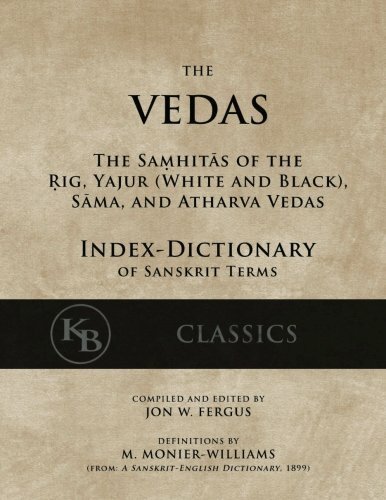 The corresponding words in the Sanskrit are Yuga, Kalpa, Manvantara, but of these yuga comes nearest to cycle, as it is lesser in duration than the others. The beginning of a cycle must be a moment, that added to other moments makes a day, and those added together constitute months, years, decades, and centuries. Beyond this the West hardly goes. It recognizes the moon cycle and the great sidereal one, but looks at both and upon the others merely as periods of time. If we are to consider them as but lengths of time there is no profit except to the dry student or to the astronomer. And in this way today they are regarded by European and American thinkers, who say cycles exist but have no very great bearing on human life and certainly no bearing on the actual recurrence of events or the reappearance on the stage of life of persons who once lived in the world. The theosophical theory is distinctly otherwise, as it must be if it carries out the doctrine of reincarnation to which in preceding pages a good deal of attention has been given. Not only are the cycles named actual physical facts in respect to time, but they and other periods have a very great effect on human life and the evolution of the globe with all the forms of life thereon. Starting with the moment and proceeding through a day, this theory erects the cycle into a comprehensive ring which includes all in its limits. The moment being the basis, the question to be settled in respect to the great cycles is, When did the first moment come? This cannot be answered, but it can be said that the truth is held by the ancient theosophists to be that at the first moments of the solidification of this globe the mass of matter involved attained a certain and definite rate of vibration which will hold through all variations in any part of it until its hour for dissolution comes. These rates of vibration are what determine the different cycles, and, contrary to the ideas of western science, the doctrine is that the solar system and the globe we are now on will come to an end when the force behind the whole mass of seen and unseen matter has reached its limit of duration under cyclic law. Here our doctrine is again different from both the religious and scientific one. We do not admit that the ending of the force is the withdrawal by a God of his protection, nor the sudden propulsion by him of another force against the globe, but that the force at work and determining the great cycle is that of man himself considered as a spiritual being; when he is done using the globe he leaves it, and then with him goes out the force holding all together; the consequence is dissolution by fire or water or what not, these phenomena being simply effects and not causes. The ordinary scientific speculations on this head are that the earth may fall into the sun, or that a comet of density may destroy the globe, or that we may collide with a greater planet known or unknown. These dreams are idle for the present. Reincarnation being the great law of life and progress, it is interwoven with that of the cycles and karma. These three work together, and in practice it is almost impossible to disentangle reincarnation from cyclic law. Individuals and nations in definite streams return in regularly recurring periods to the earth, and thus bring back to the globe the arts, the civilization, the very persons who once were on it at work. And as the units in nation and race are connected together by invisible strong threads, large bodies of such units moving slowly but surely all together reunite at different times and emerge again and again together into new race and new civilization as the cycles roll their appointed rounds. Therefore the souls who made the most ancient civilizations will come back and bring the old civilization with them in idea and essence, which being added to what others have done for the development of the human race in its character and knowledge will produce a new and higher state of civilization. This newer and better development will not be due to books, to records, to arts or mechanics, because all those are periodically destroyed so far as physical evidence goes, but the soul ever retaining in Manas the knowledge it once gained and always pushing to completer development the higher principles and powers, the essence of progress remains and will as surely come out as the sun shines. And along this road are the points when the small and large cycles of Avatars bring out for man’s benefit the great characters who mold the race from time to time. At the intersection of the great cycles dynamic effects follow and alter the surface of the planet by reason of the shifting of the poles of the globe or other convulsion. This is not a theory generally acceptable, but we hold it to be true. Man is a great dynamo, making, storing, and throwing out energy, and when masses of men composing a race thus make and distribute energy, there is a resulting dynamic effect on the material of the globe which will be powerful enough to be distinct and cataclysmic. That there have been vast and awful disturbances in the strata of the world is admitted on every hand and now needs no proof; these have been due to earthquakes and ice formation so far as concerns geology; but in respect to animal forms the cyclic law is that certain animal forms now extinct and also certain human ones not known but sometimes suspected will return again in their own cycle; and certain human languages now known as dead will be in use once more at their appointed cyclic hour. The great Sidereal year is the period taken by the equinoctial points to make in their precession a complete revolution of the heavens. It is composed of 25,868 solar years almost. It is said that the last sidereal year ended about 9,868 years ago, at which time there must have been on this earth a violent convulsion or series of such, as well as distributions of nations. The completion of this grand period brings the earth into newer spaces of the cosmos, not in respect to its own orbit, but by reason of the actual progress of the sun in an orbit of its own that cannot be measured by any observer of the present day, but which is guessed at by some and located in one of the constellations. Affecting man especially are the spiritual, psychic, and moral cycles, and out of these grow the national, racial, and individual cycles. Race and national cycles are both historical. The individual cycles are of reincarnation, of sensation, and of impression. The length of the individual reincarnation cycle for the general mass of men is fifteen hundred years, and this in its turn gives us a large historical cycle related closely to the progress of civilization. For as the masses of persons return from devachan, it must follow that the Roman, the Greek, the old Aryan, and other Ages will be seen again and can to a very great extent be plainly traced. But man is also affected by astronomical cycles because he is an integral part of the whole, and these cycles mark the periods when mankind as a whole will undergo a change. In the sacred books of all nations these are often mentioned, and are in the Bible of the Christians, as, for instance, in the story of Jonah in the belly of the whale. This is an absurdity when read as history, but not so as an astronomical cycle. “Jonah” is in the constellations, and when that astronomical point which represents man reaches a point in the Zodiac which is directly opposite the belly of Cetus or the whale on the other side of the circle, by what is known as the process of opposition, then Jonah is said to be in the center of the fish and is “thrown out” at the expiration of the period when that man-point has passed so far along in the Zodiac as to be out of opposition to the whale. Similarly as the same point moves thus through the Zodiac it is brought by opposition into the different constellations that are exactly opposite from century to century while it moves along. During these progresses changes take place among men and on earth exactly signified by the constellations when those are read according to the right rules of symbology. It is not claimed that the conjunction causes the effect, but that ages ago the Masters of Wisdom worked out all the problems in respect to man and found in the heavens the means for knowing the exact dates when events are sure to recur, and then by imprinting in the minds of older nations the symbology of the Zodiac were able to preserve the record and the prophecy. Thus in the same way that a watchmaker can tell the hour by the arrival of the hands or the works of the watch at certain fixed points, the Sages can tell the hour for events by the Zodiacal clock. This is not of course believed today, but it will be well understood in future centuries, and as the nations of the earth have all similar symbols in general for the Zodiac, and as also the records of races long dead have the same, it is not likely that the vandal-spirit of the western nineteenth century will be able to efface this valuable heritage of our evolution. In Egypt the Denderah Zodiac tells the same tale as that one left to us by the old civilization of the American continent, and all of these are from the same source, they are the work of the Sages who come at the beginning of the great human cycle and give to man when he begins his toilsome ascent up the road of development those great symbols and ideas of an astronomical character which will last through all the cycles. In regard to great cataclysms occurring at the beginning and ending of the great cycles, the main laws governing the effects are those of Karma and Reimbodiment, or Reincarnation, proceeding under cyclic rule. Not only is man ruled by these laws, but every atom of matter as well, and the mass of matter is constantly undergoing a change at the same time with man. It must therefore exhibit alterations corresponding to those through which the thinker is going. On the physical plane effects are brought out through the electrical and other fluids acting with the gases on the solids of the globe. At the change of a great cycle they reach what may be termed the exploding point and cause violent convulsions of the following classes: (a) Earthquakes, (b) Floods, (c) Fire, (d) Ice. Earthquakes may be brought on according to this philosophy by two general causes; first, subsidence or elevation under the earth-crust due to heat and steam, second, electrical and magnetic changes which affect water and earth at the same time. These last have the power to instantaneously make the earth fluidic without melting it, thus causing immense and violent displacements in large or small waves. And this effect is sometimes seen now in earthquake districts when similar electrical causes are at work in a smaller measure. Both Egyptians and Greeks had their cycles, but in our opinion derived them from the Indian Sages. The Chinese always were a nation of astronomers, and have recorded observations reaching far back of the Christian era, but as they belong to an old race which is doomed to extinction — strange as the assertion may appear — their conclusions will not be correct for the Aryan races. On the coming of the Christian era a heavy pall of darkness fell on the minds of men in the West, and India was for many centuries isolated so as to preserve these great ideas during the mental night of Europe. This isolation was brought about deliberately as a necessary precaution taken by that great Lodge to which I adverted in Chapter I, because its Adepts, knowing the cyclic laws perfectly, wished to preserve philosophy for future generations. As it would be mere pedantry and speculation to discuss the unknown Saros and Naros and other cycles of the Egyptians, I will give the Brahmanical ones, since they tally almost exactly with the correct periods. A period or exhibition of universal manifestation is called a Brahmarandrha [in The Path, Nov., 1893, p. 259, Judge points out that this is a misprint for Brahmanda., that is a complete life of Brahma, and Brahma’s life is made of his days and years, which, being cosmical are each of immense duration. His day is as man’s 24 odd hours long, his year 360 odd days, the number of his years is 100. Taking now this globe — since we are concerned with no other — its government and evolution proceed under Manu or man and from this is the term Manvantara or “between two Manus.” The course of evolution is divided into four Yugas for every race in its own time and way. These Yugas do not affect all mankind at one and the same time, as some races are in one of the Yugas while others are in a different cycle. The Red Indian, for instance, is in the end of his stone age, while the Aryans are in quite a different state. These four Yugas are: Krita, or Satya, the golden; Treta; Dvapara; and Kali or the black. The present age for the West and India is Kali Yuga, especially in respect to moral and spiritual development. The first of these is slow in comparison with the rest, and the present — Kali — is very rapid, its motion being accelerated precisely like certain astronomical periods known today in regard to the Moon, but not fully worked out. The first 5000 years of Kali Yuga will end between the years 1897 and 1898. This Yuga began about 3102 years before the Christian era, at the time of Krishna’s death. As 1897-98 are not far off, the scientific men of today will have an opportunity of seeing whether the close of the five thousand year cycle will be preceded or followed by any convulsions or great changes political, scientific, or physical, or all of these combined. Cyclic changes are now proceeding as year after year the souls from prior civilizations are being incarnated in this period when liberty of thought and action are not so restricted in the West as they have been in the past by dogmatic religious prejudice and bigotry. And at the present time we are in a cycle of transition, when, as a transition period should indicate, everything in philosophy, religion, and society is changing. In a transition period the full and complete figures and rules respecting cycles are not given out to a generation which elevates money above all thoughts and scoffs at the spiritual view of man and nature. Further H. P. Blavatsky clearly states that the other cycles are carried out within this greater one, as at 34, vol. 1. The Sandhya and Sandhyhamsa referred to in the quotation taken from Isis Unveiled are respectively the twilight and the dawn, each being said to be of the same length and containing the same number of years as the first or golden age — i.e. 1,728,000. It is in strict correspondence with our own solar day which has its twilight and dawn between day and night. The digits of Satya Vug 1. 7. 2. 8. added together make 18; those of Treta Yug 1. 2. 9. 6 make 18; those of Dwapana Yug 8. 6. 4 make 18; while those of Kali Yug 4. 3. 2 sum up only 9; but if those of the grand total of 4,320,000 be added together they make 9, and that with Kali give 18 again. 1 8 is a number peculiar to Krishna in the Bhagavad Gita, and the poem has 18 chapters in it. If the three 18’s and one 9 found as above be added together, the result will be 63, and 3×6=18, and if added make 9, and 18 added gives nine. If we multiply the three 18’s and 9 produced from the different ages, we get 5. 8. 3. 2. which, if treated as before, give 18 again. And in the process of thus multiplying we discover a recurrence of the three eighteens and one 9, only inverted, as: The first 18 multiplied by the second one gives 3. 2. 4, which added results in 9; 324 multiplied by third 18 gives 5. 8. 3. 2, which being added gives 18; and the product of the multiplication of 5,832 by 9, which is the result of adding the figures of Kali Yuga, is 5. 8. 4. 1, which on being added gives 18 again. Now, as the last of these apparently fanciful operations, let us add together the results gained by multiplying the figures which were obtained during the various steps we have gone through and then adding the results. The first figures are 1×8 = 8. The second 3x2x4 = 24. The third 5x8x3x2 = 240. The fourth 5x8x4x1 = 160. But in the following paragraph she declares it cannot be revealed. However, we may get some clues, for we see in the figures of Kali Yuga, 432,000, and in the great total (leaving out the Sandhis), 4,320,000. What this secret cycle is, I, however, am not competent to say I only desire to throw out the hints. Osiris here signifies most probably the good side of nature, and his brother Typhos the evil. Both must appear together. Typhos is sometimes called in the Egyptain books the opposer, and later with us, is known as the Devil. This appearance of Typhos at the same time with Osiris is paralleled in the history of the Indian Krishna who was a white Adept, for at the same time there also reigned a powerful Black magician named Kansa, who sought to destroy Krishna in the same way as Typhos conspired against the life of Osiris. And Rama also, in Hindu lore the great Adept or ruling god, was opposed by Ravana, the powerful Black magician king. The instructor answered this in advance by showing how these Beings — called gods — governed mankind through efficient causes proceeding downward by various degrees; the gods being perpetually concerned in their proper sphere with those things relating to them, and which in their turn moved other causes that produced appropriate effects upon the earth, and themselves only coming directly into earthly relations when that became necessary at certain “orderly periods of time,” upon the complete disappearance of harmony which would soon be followed by destruction if not restored. Then the gods themselves descend. This is after the revolution of many smaller cycles. The same is said in Bhagavad-Gita. These “heroes” are none other than Nirmanakayas — Adepts of this or previous Manwantaras — who remain here in various states or conditions. Some are not using bodies at all, but keep spirituality alive among men in all parts of the world; and others are actually using bodies in the world. Who the latter are it would of course be impossible for me to know, and if I had the information, to give it out would be improper. “Now that which the students of Occultism ought to know is that the third eye is indissolubly connected with Karma. In another place she puts the date of the last Atlantean destruction as far back as 11,000 years ago, and describes them as a people of immense knowledge and power. If we allow about 1,000 years for our period in Devachan, we will have only passed through some eleven incarnations since then; and supposing that many more have been our lot — as is my opinion, then we have to place ourselves among those wonderful though wicked people at the height of their power. Granting that we were guilty of the sinful practices of the days in which we then lived, and knowing the effect of Karma, it must follow that since then we have passed through many very disagreeable and painful lives, resembling by analogy dreadful situations in the years between youth and maturity. No wonder, then, if for the time we have forgotten outwardly what we then learned. Why not, then, call one of our present cycles the cycle of the Theosophical Society? It began in 1875, and, aided by other cycles then beginning to run, it has attained some force. Whether it will revolve for any greater length of time depends upon its earnest members. Members who enter it for the purpose of acquiring ideas merely for their own use will not assist. Mere numbers do not do the work, but sincere, earnest, active, unselfish members will keep this cycle always revolving. The wisdom of those who set it in motion becomes apparent when we begin to grasp somewhat the meaning of cyclic law. The Society could have remained a mere idea and might have been kept entirely away from outward expression in organization. Then, indeed, ideas similar to those prevalent in our Society might have been heard of. But how? Garbled, and presented only here and there, so that perhaps not for half a century later would they be concretely presented. A wise man, however, knows how to prepare for a tide of spiritual influence. But how could an everyday Russian or American know that 1875 was just the proper year in which to begin so as to be ready for the oncoming rush now fairly set in? To my mind the mere fact that we were organized with a definite platform in that year is strong evidence that the “heroic tribe of heroes” had a hand in our formation. Let us, then, not resist the cycle, nor, complaining of the task, sit down to rest. There is no time for rest. The weak, the despairing, and the doubting may have to wait, but men and women of action cannot stand still in the face of such an opportunity. Ladies and gentlemen: This is our last meeting; it is the last impulse of the Cycle which we began when we opened our sessions at this Parliament. All the other bodies which have met in this building have been also starting cycles just as we have been. Now, a great many people know what the word “cycle” means, and a great many do not. There are no doubt in Chicago many men who think that a cycle is a machine to be ridden; but the word that I am dealing with is not that. I am dealing with a word which means a return, a ring. It is a very old term, used in the far past. In our civilization it is applied to a doctrine which is not very well understood, but which is accepted by a great many scientific men, a great many religious men, and by a great many thinking men. The theory is, as held by the ancient Egyptians, that there is a cycle, a law of cycles which governs humanity, governs the earth, governs all that is in the universe. You may have heard Brother Chakravarti say the Hindus are still teaching that there is a great cycle which begins when the Unknown breathes forth the whole universe, and ends when it is turned in again into itself. That is the great cycle. The next is the yearly cycle. The great luminary, the great mover of all, returns again to a point from whence he started. The next great cycle to which I would draw your attention, now we have come to the sun—it is held by science and is provable I think by other arguments the next cycle is that the sun, while stationary to us, is in fact moving through space in an enormous orbit which we can not measure. As he moves he draws the earth and the planets as they wheel about him. We may say, then, this is another great cycle. It appears reasonable that, as the sun is moving through that great cycle, he must draw the earth into spaces and places and points in space where the earth has never been before, and that it must happen that the earth shall come now and then into some place where the conditions are different and that it may be changed in a moment, as it were, for to the eye of the soul a thousand years are but a moment, when everything will be different. That is one aspect of cyclic doctrine, that the sun is drawing the earth in a great orbit of his own and is causing the earth to be changed in its nature by reason of the new atomic spaces into which it is taken. So it is also with diseases. Is it not true that fevers are governed by a law of recurrence in time; some have three days, some four days, nine days, fifteen days, three years and so on? No physician can say why it is so; they only know that it is a fact. So in every direction the law of cycles is found to govern. It is all according to the great inherent law of the periodical ebb and flow, the Great Day and Night of Nature. The tides in Ocean rise and fall; similarly in the great Ocean of Nature there is a constant ebb and flow, a mightier tide which carries all with it. The only thing that remains unshaken, immovable, never turning is the Spirit itself. That, as St. James said—and he doubtless was himself a wise Theosophist—is without variableness and hath no shadow of turning. We hold further—and I can only go over this briefly— that in evolution itself, considered as a vast inclusive whole, there are cycles, and that unless there were these turnings and returnings no evolution would be possible, for evolution is but another word for cyclic law. Reincarnation, or re-embodiment over and over again, is an expression of this great law and a necessary part of evolution. Evolution means a coming forth from something. From out of what does the evolving universe come? It comes out from what we call the unknown, and we call it “unknown” simply because we do not know what it is. The unknown does not mean the non-existent; it simply means that which we do not perceive in its essence or fulness. It goes forth again and again, always higher and better; but while it is rolling around at its lower arc it seems to those down there that it is lower than ever; but it is bound to come up again. And that is the answer we give to those who ask, What of all those civilizations that have disappeared, what of all the years that I have forgotten? What have I been in other lives, I have forgotten them? We simply say, you are going through your cycle. Some day all these years and experiences will return to your recollection as so much gained. And all the nations of the earth should know this law, remember it and act upon it, knowing that they will come back and that others also will come back. Thus they should leave behind something that will raise the cycle higher and higher, thus they should ever work toward the perfection which mankind as a whole is striving in fact to procure for itself. — Final address by W.Q.J. at Parliament of Religions, 1893. We never pretended to be able to draw nations in the mass to this or that crisis in spite of the general drift of the world’s cosmic relations. The cycles must run their rounds. Periods of mental and moral light and darkness succeed each other as day does night. The major and minor yugas (cycles) must be accomplished according to the established order of things. And we, borne along the mighty tide, can only modify and direct some of its minor currents. The fire of patriotism cannot prevail against the higher destiny which will plunge a nation into darkness. All we can do is to change it here and there a little. The elder brothers are subject to law, but they have confidence and hope, because that law merely means that nations appear to go down, in order to rise again to a greater height. Such was the end of ancient Egypt, of whose former glory no man of this day knows aught. Although to us she appears in the historical sky as a full-risen sun, she yet had her period of growth, when mighty Adepts sat upon the throne and guided the people. She gradually reached a high point of power and then her people grew material; the Adepts retired; pretended Adepts took their place, and gradually her glory waned until at last the light of Egypt became darkness. The same story was repeated in Chaldea and Assyria and also upon the surface of our own America. Here a great, a glorious civilization once flourished, only to disappear as the others did; and that a grand development of civilization is beginning here again is one of the operations of the just and perfect law of Karma. In the eye of that great Law no country is first or last, new or old, high or low, but each at the right time is appropriate for whatever the work is that must be performed. Each country is bound up with all the others and must assist them. Individuals and nations in definite streams return in regularly recurring periods to the earth, and thus bring back to the globe the arts, the civilization, the very persons who once were on it at work. And as the units in nation and race are connected together by invisible strong threads, large bodies of such units moving slowly but surely all together reunite at different times and emerge again and again together into new race and new civilization as the cycles roll their appointed rounds. Therefore the souls who made the most ancient civilizations will come back and bring the old civilization with them in idea and essence, which being added to what others have done for the development of the human race in its character and knowledge will produce a new and higher state of civilization. This newer and better development will not be due to books, to arts or mechanics, because all those are periodically destroyed so far as physical evidence goes, but the soul ever retaining in Manas, or mind, the knowledge it once gained and always pushing to completer development the higher principles and powers, the essence of progress remains and will as surely come out as the sun shines. The length of the individual reincarnation cycle for the general mass of men is fifteen hundred years, and this in its turn gives us a large historical cycle related closely to the progress of civilization. For as the masses of persons return from devachan, or heaven, it must follow that the Roman, the Greek, the old Aryan and other Ages will be seen again and can to a very great extent be plainly traced. This has a bearing on the question of the civilization in which we are a part ourselves. Who are we? Where are we going? Where have we come from? Both the Europeans and the Americans are old Atlantean monads, and the development of the American nation especially has a mysterious but potent connection with the wonderful past of the Atlanteans, whose name is forever set immortal in the Atlantic Ocean. The cycles in their movement are bringing up to the surface now, in the United States and America generally, not only a great glory of civilization which was forgotten eleven thousand or more years ago, but also the very men, the monads — the egos, as they call them — who were concerned so many ages since in developing and bringing it to its final lustre. In fact, the Americans, hearing of new discoveries and inventions every day, and dreaming of great advances in all arts and sciences, are the same individuals who inhabited bodies among the powerful and brilliant, as well as wicked, Atlanteans. The flower, so to speak, of this revival or resurrection, is and is to be on the American Continent. For there, ages ago, was a vast civilization. Perhaps we were in it then, perhaps anterior to the ancient Egyptians. It disappeared, when we do not know, and left the land arid for many thousands of years until it was discovered once more by the Europeans. In America, just the place for the new race, is an arable land which has had time over and over again to destroy the poisons that were planted there ages and ages ago. It gives them a new land, with vibrations in the air that stir up every particle in a man who breathes it, and thus we find the people coming from the old world seeming to receive through their feet the impressions of an American country. All this bears upon our civilization and race. The Americans are a new race in a new cycle, and persons who know say that a cycle is going to end in a few years and a new one begin, and that that ending and beginning will be accompanied by convulsions of society and of nature. We can all almost see it coming. The events are very complete in the sky. You remember Daniel says, “A time, half a time, and a time,” and so on, and people in the Christian system have been trying to find out the time when the time began, and that is just the difficulty. We do not know when the time began. And the only person who in all these many years has made a direct statement is Madame Blavatsky, and she said, “A cycle is ending in a few years, you must prepare.” So that it was like the old prophets who came to the people and said, “Prepare for a new era of things, get ready for what you have to do.” That is just what this civilization is doing. It is the highest, although the crudest, civilization now on the earth. It is the beginning of the great civilization that is to come. The new civilization will begin to put out a hand once more to grasp that of the ancient East, who has sat there silently doing nothing all these years, holding in her ancient crypts and libraries and records the philosophy which the world wants, a philosophy you can understand and practice. The Americans are as yet only preparers, much as we may exalt their plainly crude development. Herein lies the very gist of the cycle’s meaning. It is a preparatory cycle with much of necessary destruction in it; for, before construction, we must have some disintegration. We are preparing here in America a new race which will exhibit the perfection of the glories that I said were being slowly brought to the surface from the long forgotten past. This is why the Americas are seen to be in a perpetual ferment. It is the seething and bubbling of the older races in the refining-pot, and the slow coming up of the material for the new race. Here, and nowhere else, are to be found men and women of every race living together, being governed together, attacking nature and the problems of life together. This process will go on until in the course of many generations there will be produced on the American continents an entirely new race; new bodies; new orders of intellect; new powers of the mind; curious and unheard-of psychic powers, as well as extraordinary physical ones; with new senses and extensions of present senses now unforeseen. When this new sort of body and mind are generated — then other monads, or our own again — will animate them and paint upon the screen of time the pictures of 100,000 years ago. Looking back into the past the historian finds his sight speedily striking a mist and at last plunging into inky darkness. Bound down in fact by the influence of a ridiculous dogmatism which allows only some six thousand years for man’s life on earth, he is unwilling to accept the old chronologies of the Egyptians or Hindus, and, while permitting the assumption of vast periods for geological changes, he is staggered by a few millions of years more or less when they are added to the length of time during which humanity has peopled the globe. The student of the ancient wisdom sees no reason, however, why he should doubt the statement made by his teachers on this subject, who say that the periods of evolution are endless. The human races sweep round and round this planet as the cycles sweep resistlessly forward. Cave-dwellers, lake-dwellers, and those of a neolithic or any other age, appear and disappear over and over again, and in each of those we who now read, write and think of them were ourselves the very Egos whose past we are trying to trace. It is easy to prove that civilization of the highest order has periodically rolled around this globe and left traces great and small behind. Man’s civilization has travelled around the globe many times, filling now one country and now another with populous places, creating an enormous metropolis here and another there. If you inquire into Egyptian history, the most interesting because the most obscure, you will find, as the writers say, that the civilization seems to rise to the zenith at once. We do not see when it began. The civilization was so great it must have existed an enormous length of time to get to that height, so that we cannot trace it from its beginning, and it disappears suddenly from the sky; there is nothing of it left but the enormous remains which testify to these great things, for the ancient Egyptians not only made mummies in which they displayed the art of bandaging that we cannot better, but they had put everything to such a degree of specialization that we must conclude they had many centuries of civilization. There was a specialist for one eye and a specialist for the other, a specialist for the eyebrow, and so on. And what modern work is to be compared to the pyramid of Ghizeh? North and South America were evidently the seats of ancient races and not the habitation of wild undeveloped men. The red man of the Northern one has all the appearance and beliefs of a once great race. He believes in one God, a Devachan or heaven of happy hunting after death. Some tribes have diagrams of how the world was formed and peopled, that strangely resemble the Hindu cosmogony, and their folklore bears deep marks of having come down from an older and better time. Following the course of exploration southwards, we find accumulating evidences all the way of a prior civilization now gone with the cyclic wave which brought it up. Central America is crowded with remains in stone and brick; and so on south still we discover similar proofs. In course of time these continents became what might be called arable land, lying waiting, recuperating, until the European streams of men began to pour upon it. And what of the great temples and the awe-inspiring underground constructions in India and the rest of the East; of those buildings cut out of solid mountains with mathematical precision? The caves of Ellora and Elephanta contain immense images and carvings which would do credit to this day. The caves of Kailas are 401 feet deep and 185 feet wide. Inside is a conical pagoda 100 feet high, with a music gallery, five large chapels, a large court, and a colonnade. Three immense elephants are there cut from the stone. An image of Lakshmi reposes with two elephants standing on their hind legs as if pouring water over her. A passage then opens right and left. Thirty feet on there are two obelisks carved, being 41 feet high and 11 feet square. Thirty feet more and you find a great pagoda carved inside and out. There are sixteen pillars, twenty-two pilasters, and five entrances. The roof is carved to represent cross-beams, and each pillar is different from the other. At Ajunta are twenty-seven cut caves. Can these be the work of people whose beliefs tend to stagnate human effort? I think not. If I were asked under what sky the human mind has most fully developed some of its choicest gifts, has most deeply pondered on the greatest problems of life, and has found the solution of some of them which well deserve the attention even of those who have studied Plato and Kant — I should point to India. And if I were to ask myself from what literature we here in Europe, we who have been nurtured almost exclusively on the thoughts of Greeks and Romans, and of one Semitic race, the Jewish, may draw that corrective which is most wanted in order to make our inner life more perfect, more comprehensive, more universal, in fact more truly human, a life not for this life only, but a transfigured and eternal life — again I should point to India. … I am thinking chiefly of India such as it was a thousand, two thousand, it may be three thousand, years ago. That India is full of problems the solutions of which concern all of us. Just as Prof. Müller says, I am not thinking of the Indian people of today, but of the minds of her past who have left to us an enormous mass of records of their studies and solutions of the greatest problems that can engage the attention of the human mind. Let us then make use of the material in the ancient storehouse of India, treasures that no man can be called a thief for taking, since the truths acquired by the mind respecting man’s life, conduct, constitution, and destiny are the common property of the human race, a treasure that is lost by monopoly and expanded by dissemination. The Adepts insist that there are still in the earth bony remains of man which carry his first appearance in a dense body many millions of years farther back than have yet been admitted, and these remains will be discovered by us before much time shall have rolled away. One of the first results of these discoveries will be to completely upset the theory as to the succession of ages, as I may call it, which is given and accepted at the present time, and also the estimation of the various civilizations that have passed from the earth and left no trace except in the inner constitution of ourselves. Of course, in order to be able to accept in any degree these theories, it is essential that one should believe in the twin doctrines of Karma and Reincarnation. (1) NOTE.—This article is collated from the writings of William Q. Judge. We perceive cycles by the recurrences of moving beings and things in our world, and are deluded into thinking that these repetitions are caused by some intangible entity called time, while in reality they are caused by the cyclical movements of the bodies or of the consciousness of entities. The revolutions of the planets around the sun is an example; they are not caused by time. It is the moving entities themselves which produce in us the time-illusion, due to our imperfect understanding of their operations in Duration. As one of the Stanzas of Dzyan says: “Time was not, for it lay asleep in the infinite bosom of duration” — because moving things were then no more. Nevertheless, it is good that we should realize that all nature, as Pythagoras so wisely taught, is built on numerical relations, harmonically interacting in inflexible mathematical connections. For this reason there has never been any attempt to veil the general teaching, and even in some cases actual time periods have been disclosed. For instance, in The Secret Doctrine, Volume II, pages 68-70, we have Brahma’s Age, called the mahakalpa, set down as 311,040,000,000,000 years; and one of Brahma’s Days as 4,320,000,000, with a Night of equal duration, so that such a combined Day-Night period is 8,640,000,000. Furthermore, the total of the four general yugas, together making a mahayuga, is 4,320,000 years, and the full period of a manvantara is 308,448,000 years. In examining the array of figures given by H.P.B., the difficulty lies in knowing just which manvantara or Day (or which pralaya or Night) is referred to. There are manvantaras of the entire solar system as well as of the planetary chain; and there are still smaller manvantaras, each one of which is the reign of a single Manu. Often terms are used which have different applications. For instance, the term ‘solar system’ may refer to our own planetary chain and its evolution. Thus seven chain-rounds of our earth chain might be called one solar manvantara for our earth chain, but the sun will be as lively as ever. When seven complete imbodiments of our planetary chain have taken place, that is a solar manvantara for our chain; for when a new manvantara for our chain shall again begin, a new sun will shine upon that chain; or, from the standpoint of our earth globe, we shall see that particular sun of the next higher cosmic plane of the solar chain on which our globe D will then begin to manifest. For the benefit of those who may be interested in numerical relations: the “full period of one Manvantara,” mentioned by H.P.B. as being 308,448,000 years (The Secret Doctrine, II, 69), refers in this usage of the word manvantara to one half of a chain-round, which is the general time that it takes a life-wave to pass from the first globe (let us say globe A) of the chain to globe D, our earth. A similar time period is required in order to pass from the midpoint of our globe earth to globe G, let us say; so that one chain-round will take some 616,896,000 years. As the common teaching regarding the rounds gives their number as seven, when we multiply this last sum by 7, we obtain very closely the figure 4,320,000,000 years, which is one complete chain-manvantara, or one Day of Brahma, the Brahma in this case being the planetary chain Brahma. The difference between this rough and ready calculation and the full period of 4,320,000,000 is due to the fact that the sandhyas (twilights) have been omitted. Furthermore, when a planetary chain has completed its chain-manvantara, there then ensues a rest period or Night of equal length — 4,320,000,000 years. In addition, the cosmic mahakalpa — here signifying the kalpa of our solar system or its complete manvantara or one Year of Brahma — is composed of 360 of the solar Brahma’s Days, which are the planetary chain Days, as above alluded to. As there are a hundred of the solar Brahma’s Years in the full period of a solar mahakalpa (Brahma’s Life), this last figure must be multiplied by one hundred, and we thus attain the figure 311,040,000,000,000. It might be as well to state here that the esoteric year contains 360 days, equal to the 360° of the zodiac, whether of the signs or of the constellations; and in a past period of the solar system our earth year was actually 360 days long. Since then, due to a number of cosmic interacting causes, under the governance of the fohatic magnetisms of the zodiacal constellations, the speed of rotation of the earth somewhat increased, so that the present year contains roughly 365 1/4 days. This acceleration has now probably reached its maximum, in which case the rotation of the earth will slowly again decrease and in time pass through and beyond the median point of 360 days, so that the year will then contain somewhat less than 360 days, possibly as few as 354. When this minimum period has been reached, the earth’s rotation will again quicken slightly, and in time will pass through the median point of 360 days until it reaches again its maximum. Thus it is that during the planetary chain’s manvantara the average rotational yearly period is 360 days. This is the reason that 360 days is recognized in occultism as the standard year; and many cultured nations, such as the Babylonians, Egyptians and Hindus, all famous throughout antiquity for their astronomical skill, used the 360-day period in their calculations for the length of a year. This is shown in the case of the Hindus by a passage in the very old astronomical work, the Surya-Siddhanta (I, 12,13) 1, which first states the standard occult year of 360, and then refers to the year as consisting of 365 1/4 days more or less. Modern scientists, scholars and mathematicians ascribe to the ancient Babylonians our present reckoning of 360° in a circle, each degree divided into 60 minutes, although this same practice was as well known in ancient India as it was in Egypt and elsewhere. Why? Simply because of the vast knowledge of occult astronomy and astrology in the archaic Mystery schools, wherein the ‘standard’ year was usually employed for secret calculations, as well as being also the basis of civil and economic computations. 1. This is a truly profound and remarkable treatise, dealing with yugas and time periods of various lengths, divisions of time into infinitesimals, cycles of sun, moon and planets as well as with eclipses. In the opening verses it is stated that Surya, the sun, through his solar representative, communicated to Asuramaya “the science upon which time is founded, the grand system of the planets” (I, 5), and that this occurred at the end of the krita or satya yuga (I, 46-7). If we reckon back from the present day, we have already run through some 5000 years of the kali yuga, 864,000 of the dwapara, and 1,296,000 of the treta which followed the satya yuga. This would mean that the Surya-Siddhanta is over two million years old. As H.P.B. says in her Secret Doctrine (II, 49-50), the knowledge contained in this work was transmitted to this great Atlantean astronomer during the closing epoch of the fourth and the beginnings of the fifth root-race. We should not think, however, that the sun came down from heaven and dictated these very words, but rather that the solar glory illuminated the brain of this adept. In other words, in paying homage to Surya, Asuramaya was raising his inner nature to the solar ray of which he was an incarnation, and thereupon was inspired and taught by his own solar divinity some of the secrets of the universe. Unfortunately, because our fifth root-race is a very materialistic one, heavily sunken in matter due to our fourth round, these rises are mostly along the lines of materialisms. Furthermore, the European general stock of races, which we might call the European subrace or family race perhaps, has been steadily rising since the downfall of the Roman Empire, and will continue to do so, with various smaller shocks and falls and risings again, for some six or seven or possibly eight thousand years more. And then there will be a rapid descent until its kali yuga is reached, a small kali yuga, when there will be a great European catastrophe of nature. This will be some sixteen to eighteen thousand years from now. This period will see the submersion of the British Isles. Most of France will be under the water, also Holland, some of Spain, a good deal of Italy, and other places. Of course all this won’t take place in a night, for there will be premonitory signs, such as slow sinkings of the coast, great earthquakes, etc. A root-race, then, from its seed to its death, since the beginning of the Lemurian or third root-race, has been running between eight and nine million years. If we reckon it in yugas, it is 8,640,000 years, but of this period only half, or the mahayuga, can be properly called that root-race, as a beginning, growing, and mature entity. As pointed out earlier, the remaining or second mahayuga is its slow disappearance, because the race becomes, as physical bodies, the receptacle of egos in a constantly decreasing scale of evolutionary advancement. Thus it is that we have amongst us today Atlanteans, but the egos inhabiting these degenerate ‘Atlantean bodies’ are much inferior to the best class of Atlanteans when Atlantis was in its prime. We have even a few of the ancient Lemurians amongst us, sorry remnants of once wonderful ancestors, for Lemuria was a magnificent race and continent in its day. These few ‘Lemurian bodies’ still going on and on — so called because they are of direct Lemurian descent — offer vehicles to the very lowest class of the human stock. Now these lower egos are not lost souls. They are simply the least evolved of human egos at the present time, and therefore trailers behind us. Each root-race contains the same egos that were evolving in the preceding root-race. With the beginning of the fifth root-race the latter half of a man’s life began to develop. Some day old age will be the years when he will be in the plenitude of his power, physical and intellectual and spiritual. It will then be the time when childhood and youth will be proportionately shortened, the reason being that man will come into self-conscious functioning of faculty far more quickly than now. This process will continue through the ages so that, when we shall have reached the seventh root-race on this earth during this fourth round, the latter half of life will be considered as the only part worth living. Bodies then will be stronger, more flexible, very different from what they are now in some respects: more vital, with greater resisting power, yet more ethereal. In those distant days a man’s body before his death will be stronger than in what we would call his youth. Much has been said of the blackness of our age, the kali yuga, but it is just this stress and strain which are opening our hearts and tearing the veils away from our minds. It is the Iron Age, a hard, rigid cycle where everything moves intensely and where everything is difficult; but precisely the age in which spiritual and intellectual advancement can be made most quickly. In the Golden Age, in the so-called Age of Saturn, the era of man’s innocence, everything moved smoothly and all nature cooperated to make living beautiful and pleasant; and there is something in our hearts that yearns to return to it. But it is not what the evolving ego longs for. The Laws of Cycles by C.W. It is a matter of the deepest interest for every thinking man to obtain as clear an idea as possible of the way in which the progress of the world is wrought out in the kingdoms of Nature, and especially to realize how man — the king of Nature — advances toward that ultimate goal of perfection which is his destiny. The ancient Wisdom Religion is the basis of all the real knowledge which man possesses, whether that knowledge be scientific or religious. This Wisdom Religion, or Theosophy, teaches that all progress is accomplished in revolving stages, or successive periods of time and experience; that these periods occur in exact harmony with each other, and that they bear definite relations to the effects accomplished in them severally. The law which governs these periods has been known for many ages as the Law of Cycles. By the study of this Law of Cycles we learn that natural progress of all kinds does not occur in one steady stream, like the rush of a railway train on a straight track, but on the contrary, it proceeds by a spiral or screw-like course, in which the same points are successively and continually reached on higher circles of existence. It might, perhaps, be compared to the flight of an eagle, which soars upward in circles one above the other, until lost to sight in the vault of heaven. An onlooker would apparently see a periodic return to nearly the same place, but it is clear that the soaring bird occupies a more distant position on every turn of the circle in its spiral flight upward. These cyclic periods are so well defined in our everyday experience, that we are apt to pass them by, without recognizing their importance. Every day is a cycle, in which we pursue almost the same round of duty, and every day is followed by a night or period of rest in which the circle of twenty-four hours is rounded off and completed. Month by month, in a larger cycle we find similar occurrences in our business and home circles. Year by year we follow the same round of occurrences in Nature, so that spring, summer, autumn and winter promote the well-being of each other, and minister to the perfect whole of which they form successive phases. All these are well known to us, but because by habit we have grown familiar with them, we fail to perceive that herein lies a great secret of the world’s advancement. By pursuing the subject we may discover that the Law of Cycles rules every phenomenal experience in the world around us, that it governs even our states of passing happiness or misery, and rules also what men call life and death. Thus the continuous growth of Nature and of all beings is divided and punctuated by successive periods of rest and activity, or, to express it more completely, by rounds of birth, growth, subsidence and rest. Of the forgotten cycles which men once knew all about, probably the most interesting to us is the cycle of life and death. Many centuries ago, the great philosophers and the wise ones of the earth taught this great Truth. The records of their teachings are found in many an ancient manuscript and rock inscription of old civilizations. Today more than two-thirds of the people of the earth make it a central point in their religious belief. We are all familiar with the beginning and end of man’s appearance here. He comes upon the scene as a little child, grows into activity, attains his full strength, becomes feeble, and finally departs. We look upon the body through which he has functioned and we say: “He is gone.” Could we look further, we should know that he has but retired from the scene for a short period. He will soon return in a new body to carry on his continuous existence, and so on and on through successive lives, reaping each time what he has previously sown — until the final perfection. Thus, as in other kingdoms of Nature each appearance of man on the scene of physical life is qualified and conditioned by the circumstances of those which preceded it, and the character of the man, which is the expression of his soul, his very self, progresses towards the goal of divinity, which is his potential inheritance. Students of history have found that there is a periodic recurrence in the history of great empires. The fortunes of some great nation have been identified with each century of recorded history. Generally speaking the foundation of the power of the nation has taken place near the beginning of the century, and its waning or downfall has occurred near the close of the hundred year period. In Europe these periods of prosperity have succeeded each other, in Spain, Austria, Holland, France and England. There can be but little doubt that the twentieth century will be an era in which the American people will show an example to the rest of the civilized world, — an example founded upon the principles of humanitarian unselfishness and human Brotherhood. Extending our view still further we cannot avoid perceiving that the very continents of the globe are successively the fields of an intense activity, and of a comparative desolation. Recent discoveries have shown conclusively that on the desert plains and hills of Arizona and New Mexico — once flourished cities, larger and more populous than the largest cities of the present day. Systems of irrigation existed ages ago in these Western States of America, constructed with the highest engineering skill. There is not the smallest doubt that where now is little but desert, once teemed a busy, educated and civilized people. And do we not see that period coming once again? Do not our daily papers continually announce new conquests of the forgotten desert which show a rapid return of the old cycle of past ages? Is it too much to expect that again the whole of Western America will — as in former ages — become completely re-established in the service of man, and will once more be the residence of teeming millions! Such are the cycles which are easily recognized and commonly accepted. Rolls to break upon the grave. Yes, it is true that, for a time, all sink to rest and are still, but in the cycles of Nature all rise again into renewed activity. The teachings of the Wisdom Religion show that at stated and regular intervals in the world’s history have occurred great reforms in the political, social and moral ideals of the people. These great reforms have been introduced by those who ever stand behind the scenes of world-life, ready to help when circumstances permit. The teachings of these great ones have been identical. They have always been founded upon the enduring truths of Theosophy. Such a teacher was Krishna, who appeared in India five thousand years ago, laying the foundation of the greatest world reformations of which we have record. Such a one was Gautama Buddha, who lived exactly twenty-five hundred years ago, and whose teachings have survived to the present day, through all the misconceptions, and degradations which they have endured at the hands of his followers throughout the centuries. Six hundred years later came Jesus with the same message and the same purpose of the regeneration of mankind. A reference to these periods, each of which was a time of stress and trial in the history of the race, and a comparison of them with the present period, leads to the conviction that a crucial time in the world’s history is at hand when great reforms may be expected. Thoughtful consideration of the events of recent times amply confirms this. The last century was remarkable for great advances in man’s conquest with the forces of nature, and in his means, of intercommunication. Every part of the globe is now practically in instantaneous contact with every other point of its surface. Each nation can immediately feel the pulse of every other. The facilities thus acquired have produced an increased desire for freedom from the bonds of medievalism and selfishness of all kinds. Politically, socially and morally every nation of the world is in the throes of a struggle with those forces which prevent human advancement towards happiness and liberation of soul. As these struggles become more and more evident, the onlooker perceives that now is the time of harvest, for all potentialities which men have been gathering for ages. The forces of evolutionary upliftment have been acting wheel within wheel, cycle within cycle until man stands today potentially nobler, more intellectually gifted, more far-seeing than ever before. One thing alone is wanting to complete the unfoldment, viz: that he shall put into practice what he has been taught throughout the ages; that he shall establish the bond of Brotherhood as the central feature of all his dealings with his fellow men; that the welfare of the community and the race shall stand in the place of the welfare of the individual. Thus the era of greed and selfishness will end and a new era of love and sympathy will dawn. Then will men recognize that Life is one, eternal and indivisible. Both as regard the individual and the age, there is an everlasting continuity. That which has been sown must be reaped. Death must be followed by resurrection. Nature continually repeats itself, and follows the lines of least resistance in doing things over and over in aiming at perfect work. The ocean tides ebb and flow with clock-like regularity. The birds time their migrations to and fro with the seasons. The sap in the orchard-trees rises for the annual growth of leaves and buds and flowers and fruit, and then goes down to rest again. Each year the returning seasons repeat the unfolding picture of winter’s cold, of spring’s awakening, of the summer’s ripening growth; and then the harvest-home of autumn completes the yearly cycle of change, of progress. The return of New Year’s day finds everything different — all men and things have moved more or less along the common pathway of Life. Our growth, our evolution, does not go forward like a train on a straight track. We progress along a spiral path, ever returning toward a past circuit of our experience, but always bounding the curve in another, broader sweep. Even our Earth, following the Sun in space, traces a spiral journey onward. The mere infant creeps but slowly through his tiny daily cycle. But on the whole, he moves on, leaving the small circuit of infancy to merge into the larger course of childhood. The child’s returning birthdays find him with a stronger body, a livelier mind, and a dawning moral sense. Thus the individual life-journey moves on and on through the varied “seven ages” which Shakespeare pictures. Helpless old age is but the twilight period of one earth-life. Meantime, the Inner Man, in gradually withdrawing from this plane, is preparing to emerge in the dawn of a new spiritual cycle in the invisible realms. For life itself is continuous; and the real Self, which shows forth on Earth when we are at our very best, is vividly conscious and at home during the after-death cycle of peace and bliss and rest. The deathless Self ever ingathers the essence and meaning of all our earthly experiences, and assimilates them during the mystic journey after death. Thus with each “return” to Earth, we come enriched and enlarged by all we have gone through, both when imbodied in flesh and when free to soar. “Evolution is but another word for cyclic law.” The opportunities of these continued turnings and re-turnings enable us to bring forth and express the intellectual and spiritual faculties which are wrapped up within us. In the millions of years since we had the gift of mind and had free will to act, we have gone up and down on an enlarging spiral pathway of experience in good and evil. The karmic result of all this is reflected in our character, in our conflicting aspirations and desires of today. How often has archaeology uncovered evidences of mankind’s return to locations where superimposed cities, each in its turn, had arisen, flourished, and were buried under ages of dust? Whole civilizations have also cycled through their rise, development, and decay. The classical story of “the glory that was Greece and the grandeur that was Rome” tells of familiar examples. Furthermore, the archaic records tell of many others, prehistoric eras of great racial attainment and decay. Visible evidences of these unknown times are seen in the strange archaeological remains in Central and South America and elsewhere, and in those more recent finds in Central Asia, Crete, Egypt, etc., that speak of the mighty past. Theosophy adds that no historical civilization has yet attained to the splendor reached by the Atlanteans. However, the same Egos who lived and loved and wrought and suffered throughout forgotten ages are evidently reincarnating again today. The Theosophical history of mankind places our present humanity in the Fifth Race, somewhat past the mid-point of the great cycle of our earthly existence. The four earlier Races rounded out their careers on different continents, each only gradually giving way during the ages in which the next one was forming, until the final cataclysm ended the closing cycle. The Bible pictures a closing scene in the story of Noah and the flood — an event in racial history which is repeated, under various names, in the teachings of all great religions. A vague knowledge of the existence of the last two continents, Lemuria and Atlantis, survives in the myths and traditions of all peoples. Plato’s story of “Atlantis” relates to one of the last great remnants of the submerged continent to which we give that name. The story of mankind cannot be understood without considering the birth of the planet of which we are all inseparable parts. If our universe is a living being, and our sun and earth also, we are then children of the living cosmos. This implies that there are intelligences above man, and beings below the animals and even plants. Without the guiding and sustaining influence of the hierarchies of superior beings which form the inner fabric of the cosmos, nature would become a meaningless chaos. They instigate and ideate the design of nature’s working and are the forces behind its inbuilt healing system or ineluctable return to harmony. As the human and other kingdoms each attain their evolution, so the earth achieves its form and embodiment. The elemental, mineral, vegetable, animal, human, and divine kingdoms are all essential to one another and to the whole. They are to the earth what cells, the life force, and thoughts are to human beings. Each individual enshrines a divine spark, and from the very beginning of our planet’s reimbodiment all the kingdoms were present, not as they now are, but as seeds about to unfold. Let us briefly consider the birth of worlds as cosmic beings. When such a birth commences there is no form because the energies and characteristics of the systems of worlds about to come forth have been inrolled and dormant for ages. Hindu and other cultures give figures for the lifespan of planets, suns, and other cosmic entities. Planets, they say, live for 4,320,000,000 years, and the time spent in their rest periods or death-cycles is the same. When the moment arrives for our world to reawaken, it does so on a very ethereal level. First the godlike beings and elemental forces issue forth, laying the pattern for the inner and outer aspects of the earth-to-be. This is followed by the awakening of the other kingdoms, which lay the tracks on inner, non-material planes. As the less evolved kingdoms build for themselves more evolved bodies to work through, the earth assumes the shape, circulations, and energy flow, inner and outer, that we associate with this living planet of ours. Earth achieves its expression by means of its lesser lives, just as we attain physical incarnation by means of atoms, molecules, compounds, and cells contributing to form the fluids, tissues, and organs of our bodies, all energized by life forces and infilled with emotional and mental activities stimulated by the indwelling consciousness. And so it is with the planet: as its kingdoms alter, growing more and more material, so does the earth achieve the various phases of its reimbodiment. The life cycle of a planet takes place in a series of pulsations or “rounds,” usually spoken of as seven in number. We are presently in the fourth and most material round; and henceforward our earth will grow increasingly ethereal until the end of its lifespan. Evolution from the theosophic point of view extends through repeated reimbodiments, not only in the human kingdom, but for animals, plants, atoms, and worlds. Just as we have our invisible parts, so also does the sun with its planetary systems and their inhabitants, thus forming our living universe. All this presupposes an enduring part that lives in each person, each planet, each atom, something within that survives and gradually evolves through repeated reimbodiments — in our case, a higher self or reincarnating ego in which is stored the wisdom of experience. Evolution, thus, is the process by which the potentials of this divine essence may unfold. Because we have unfolded that which makes us human, we are at the human stage of our evolution. The animals have unfolded that which makes of them animals, and so forth. In a future planetary cycle the higher animals may develop from within themselves that which will make it natural for them to slip over into the human kingdom, as many did in the early part of this present planetary reimbodiment. From the standpoint of reincarnation mankind is millions of years old, its civilizations stretching back into legendary times. If we study myths and epics comparatively and give some credence to them, we will find much suggestive material that should be taken seriously, though not always literally. H. P. Blavatsky held that these old myths were designed by adepts who wove into them the teachings of the ancient wisdom. They may therefore be interpreted on many levels, such as the spiritual, intellectual, psychological, and physiological. These legends have survived with the early races by oral tradition, coming down to us like a racial memory, for any records would have been destroyed in the often violent interregnums that have intervened. One way to calculate the races and their subdivisions is to start with a figure for the ideal life of a human being (some 72 years) somewhat as follows: seven generations of men make up a nation, a cycle of some 500 years. Seven of these national cycles in turn go to form a tribal race, which endures some 3,600 years. An example of a tribal race would be the Slavs, including the Russians, Poles, Czechs, Bulgars, and so forth. Other examples would be those New World civilizations in full swing when Columbus came to the Americas; or the Teutons, such as the Germans and Scandinavians; also the Goths, Visigoths, and Vandal strains that settled Italy and Spain. Seven tribal races form what Blavatsky termed a national race, enduring for a precessional cycle of some 25,920 years. The term “national race” is somewhat misleading, for it does not refer to a nation as we normally understand that word, but to a whole congeries of nations within the span of seven tribal races. An example would be the European national race, now one third done, including all the races of Europe — Poles, Germans, French, Swiss, Russians, Greeks, Bulgars, English, Scandinavian, Dutch, Spanish, etc. Seven of these national races constitute a family race, which endures some 180,000 years. One family race would be the original inhabitants of the Americas: pre-Inca, pre-Aztec, and Mayan — which in its lifespan included all the lesser cycles we have discussed. Another example would be the Mongolian, including such subgroups as the Chinese, Manchus, Japanese, Tibetans, Burmese, etc. Still another would be the peoples of Africa, which present an amazing diversity of languages, cultures, and physiological types. Seven such family races form a subrace, and seven subraces form a root-race. All great civilizations result from the mixture of peoples — there is no such thing as a pure race. The English, for instance, are a mixture of what are now indigenous inhabitants, including the Celts, Romans, Saxons, Norse, Normans, and others. The civilizations in China, India, and the Middle East all resulted from a mixing of racial strains. The Americas in general are in process of creating new races of various types: perhaps another cycle of some 25,920 years will commence, or possibly another family race of 180,000 years will arise, composed of various tribal and national units, each of which will have its day in the sun. Going back to the beginning of mankind, HPB suggests that the first two root-races were more astral than physical, and their lifespan was much longer than that of the subsequent root-races. During these earliest root-races the human body was in the process of being evolved. By the middle of the third root-race this cycle was more or less completed and two remarkable events took place: the division into the two sexes, something remembered in nearly all religions and mythologies; and the awakening of man’s inner nature, in particular the mind. This was achieved by the incarnation in each individual of his own higher self, thus inflaming the nascent mind into self-consciousness, a characteristic that differentiates us from the animals. Nearly all ancient traditions speak of this era as the time when divine instructors lived among humankind, impressing on their plastic minds certain root ideas that remain to this day. They also taught mankind the arts and sciences. These superior beings or adepts are sometimes termed divine kings, ruling by the right of their own effulgent divine nature. The planetary cycle, however, was still on its downward swing into matter, and gradually as the fourth root-race came on, these instructors withdrew, at the same time founding the Mystery schools which preserved their noble wisdom. Tradition has it that these schools exist even today, although in our time they are not as openly professed as they were in the Classical world of the West and in other places. It is said that the fourth or Atlantean root-race was the most material of the races. They produced magnificent civilizations, as hinted by Plato in one or two of his Dialogues. As Atlantis approached its midpoint, the seeds of our present or fifth root-race began to appear, because it is from the midpoint of the previous race that springs the following race. This midpoint is sometimes termed the iron age or kali yuga, an era when life grows increasingly intense. Time presses, and the lower and higher elements of humankind separate out. Finally the seeds of the next race are isolated geographically, while the old race in ever diminishing numbers runs out its course. Our fifth root-race had its home in Central Asia, and in the course of thousands of years a variety of civilizations flowered there during the halcyon time of its golden, silver, and part of its bronze age. We are approaching the midpoint of the fifth root-race and have entered its iron age, which commenced according to Hindu figures with the death of Krishna in 3102 BC. This iron age is due to last 432,000 years. In the course of time forerunners of the sixth root-race will begin to appear in increasing numbers. In contrast with our fifth root-race, where the mental principle predominates, the sixth race will unfold more of buddhi or spiritual insight. The subject of cycles is complex, for races overlap one another. The new race is born from the midpoint of its parent, and the two coexist side by side through a blurred and gradual transition. And often as the midpoint of a larger cycle approaches, nature conspires to give the earth a rest. She accomplishes this in all the ways familiar to students of geology, such as changes of climate, soil depletion leading to the creation of deserts; also, submergences of portions of lands and the flooding of others, or the raising of lands. As our European culture approaches its midpoint, Blavatsky speaks of such changes occurring in the Old World. On a much larger scale, the lands now occupied by our present root-race as it approaches its midpoint will unquestionably undergo vast changes — some gradual, some catastrophic — just as did the continents of Atlantis, which broke up over the long millennia and were replaced by new lands clean and free of old emanations. Earth has seen many flowerings of human greatness and has had to suffer many depredations. But Mother Nature is still in command and in time will strike her balance. If we abuse the earth, then parts of it will become unlivable. Think of the titanic forces humankind is sending forth: not only the diverse energies of our technological civilization, but our hates, antagonisms, jealousies, greed; also their opposites, such as the forces of love, forgiveness, brotherhood, generosity, and understanding. Nature absorbs it all and will eventually react. No wonder there are times when earth seems to shake mankind as a dog shakes off fleas, until at the end of a cycle a new time emerges. Or perhaps a glaciation will occur covering an entire hemisphere under thousands of feet of ice, to lie fallow so that it can be revivified; or portions of continents may slip under the oceans and others rise. What is the future of mankind? Just as it has taken the reincarnating souls of humanity a long, long time to reach where we are now, so it will take many, many more incarnations for mankind collectively to realize its destiny. The human race will begin gradually to achieve its potentials; to become truly human and then bring into human life the wise influence of its innate divinity. In some era in the far future a true brotherhood will surely be realized. The examples of the Christs and Buddhas illustrate what we too may one day become. William Q. Judge writes that “nature exists for no other purpose than the soul’s experience,” words that summarize the cosmic process. Amid the rise and fall of races, the common ground is that all beings are souls on the pathway of unfoldment. The greatest and most enduring contributions of modern times may turn out to be the worldwide attempt to extend individual human rights and bring together all mankind into a brotherhood of thoughtful reciprocity. Of all the civilizations we know of and which have flashed their light across the horizon of time, our own may be unique in its global recognition of what is due each human soul. The very struggles which appear to be shaping are reflections of the awakening spirit of all human beings; and this pressure from below is breaking up the confining crust of tyranny, formalism, and orthodoxy, much as growing seeds burst through the earth. The evolution of humanity takes place against the background of a living earth and a living cosmos, guided by superior beings. Reincarnation gives us insights into this panorama, for it pictures each person as an immortal pilgrim with a spark of the divine in his heart of hearts. All the potentials of this divine source reside within each of us — and also in all other beings and even forces and worlds: in the bird winging its way through the blue sky, in the lightning and the storm, and in our beautiful earth so patiently nourishing its kingdoms. The knowledge of our divine ancestry and the brotherhood of all life brings with it responsibilities. Those of this persuasion can no longer go through life impulsively and unthinkingly, for we have put our feet on a path, and the first step on this path is to live not for ourselves, but to benefit mankind.